Empowered edge computing for intelligent industrial IT infrastructure | Rittal - The System. 2019-04-01. Edge and cloud computing are converging to create intelligent infrastructure. At the Hanover Trade Fair (Hannover Messe), Innovo Cloud and Rittal are jointly showcasing digital twins and the corresponding infrastructure ecosystem for connected Industry 4.0 scenarios. Intelligent compute power is increasingly moving to the edge of networks. According to analysts at IDC, one in four end-points will, within three years, not just capture data at the edge, but also execute AI algorithms. Enterprises looking to expand their decentralised infrastructure for their digitalized plant and equipment in the context of the Industrial Internet of Things require the edge computing solutions to match. Innovo Cloud and Rittal are jointly presenting a corresponding offering at the Hanover Trade Fair (Hannover Messe) – comprising a combination of ready-to-go edge infrastructure, cloud-native platform services and direct high-speed cloud connections to tier-3 data centres in Frankfurt. Empowered edge computing, will, according to research specialists at Gartner, be the next stage in the evolution of data processing within networks. By 2020, there will be around 20 billion connected sensors and end-points. They deliver the data needed to create digital twins of physical equipment and systems. High-performance, decentralised infrastructure comprising automated edge applications, in conjunction with cloud-native platform services from Innovo Cloud, enable industrial players to model and manage their digital twins across the entire value chain – supported by the ultralow latency needed for real-time processing in manufacturing use cases. The industrial analytics platform is a prerequisite for digital twins. Within the scope of the manufacturing edge platform showcase, Innovo Cloud will be demonstrating how it is possible to model the entire lifecycle of a physical asset in the age of Industry 4.0. The basis is a connected edge cloud infrastructure from Innovo. The data captured at the edge are subsequently transmitted reliably and securely for further analysis to data centres operated by the Frankfurt-based company by means of end-to-end encrypted connections. 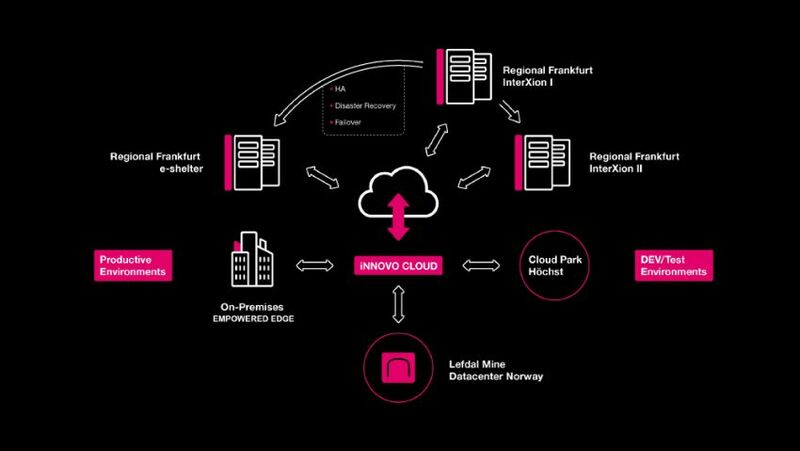 The shared Rittal and Innovo Cloud ecosystem gives industrial players access to a ready-to-go edge data centre within a matter of weeks – with the corresponding, customer-specific platform and service modules, guaranteeing reliable IT operations. Customers can therefore be sure of a one-stop solution to their unique needs (including OT, IT and platform), with all components required for empowered edge computing as the basis for Industry 4.0 applications. Innovo Cloud has a long and successful track record when it comes to helping businesses find a balanced blend of new technologies, made-to-measure IT platforms and standardised, open-source IaaS architectures. 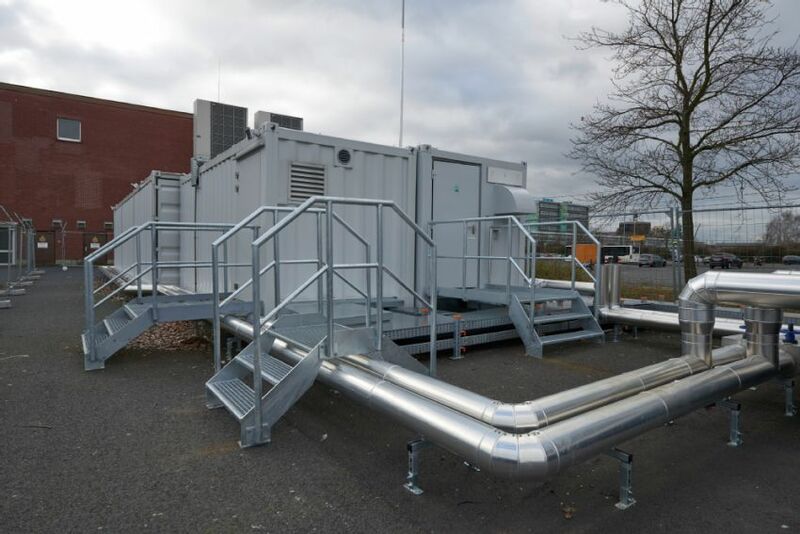 A key role is played by hybrid scenarios across multiple sites, supported by portable container data centres. Against this backdrop, Innovo offerings can be combined to create a complete solution geared precisely to the customer’s needs and industry-specific compliance imperatives. The proven experience and expertise of the German provider has therefore attracted multiple reference customers in financial services and healthcare. Visit Innovo Cloud at the Hanover trade fair at the stand shared with Rittal (hall 11, stand E06).